Viva la brand revolution? (Or not). 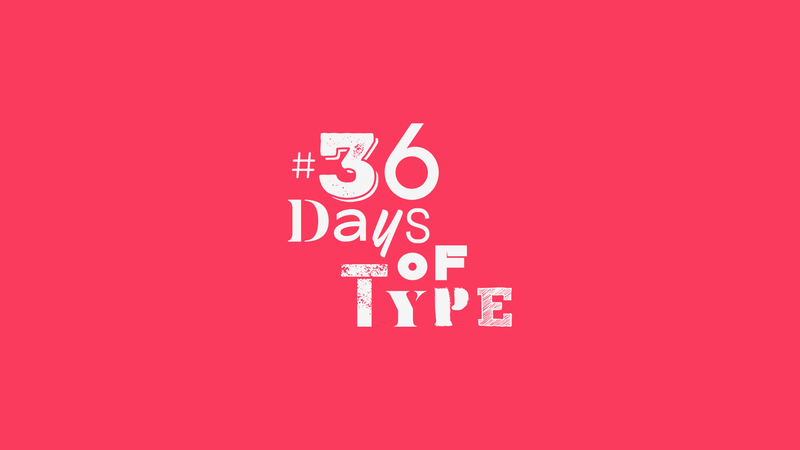 We’d like to share some tips and words of wisdom for the challenge, plus our thoughts on how you might up your chances of achieving the holy grail: getting your designs featured by the team at 36 Days of Type. 36 Days of Type is the brainchild of Nina Sans and Rafa Goicoechea, graphic designers from Barcelona, who decided to challenge themselves to create something new every day. The 2019 dates for 36 Days of Type, now in its sixth year, have been announced (2nd April – 7th May) and the Workbrands team is raring to go! The challenge? Design a letter or number each day, for 36 days. 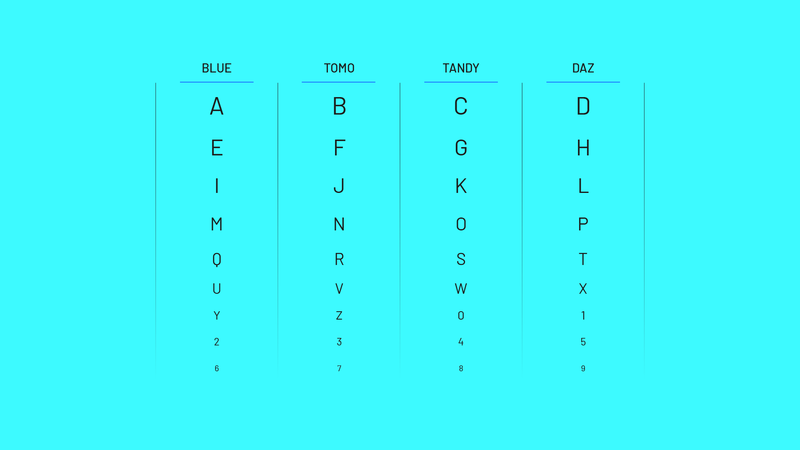 26 letters of the Latin alphabet, plus ten single digit numerals. We advise that you get one. Strategise and think ahead. When you’ve got 36 letters and figures to design over 36 days, in addition to any existing projects you might have, it makes sense to at least do some rough sketches before it all kicks off. Better yet, design them ahead of time if you can. Note: this will likely result in levels of smugness that may offend fellow creatives. We began by divvying up the characters among our studio’s design crew, for instance. Pick a colour palette, a concept or a format and stick with it. Be consistent. This is, of course, down to personal preference, BUT if you’re pushed for time, or just find the dreaded blank page (36 times over) a tad intimidating, having a stylistic starting point will save you many a headache. PLUS it will ensure that the finished article all hangs together and looks of a piece. Future You will thank you for this one, trust us. If you want to want to increase your chances of getting a repost from the team, they recommend avoiding posting several at once. This is because ‘multiple publications uploaded simultaneously using swipe are difficult to repost’. Makes sense, huh? When is the right time to post your masterpieces? Rather than trying to feel it in your waters, why not try posting it just as the calendar changes, to allow the maximum amount of time for your post to be seen? We reckon 11pm or 9am (both GMT) are winners! The design community is a two way street, yanno. Take a minute to support your fellow creatives each day with likes and comments, as you marvel at the typographic treasures on #36daysoftype_06. As well as giving you that warm fuzzy feeling, you might come across some potential partners in the industry. Be brave. Get out of your comfort zone. Necessity is the mother of invention, and all that. Remember that Nina Sans and Rafa Goicoechea created 36 days in order to push their creative boundaries. If you normally work exclusively in 2D or you’ve got a burning desire to explore a theme that doesn’t fall under your day job, this is your moment! It’s the perfect opportunity to try out a new form or teach yourself a different skill. Good luck to you all! Keep an eye out for our daily posts and stories on Instagram from April 2nd. © 2019 Workbrands Ltd. All rights reserved. Workbrands is a limited company registered in England and Wales.